If you are getting ready to renovate a hoarder house, the biggest challenge you may face is simply getting started. Just one look at the shape and contents of the house might seem overwhelming. A hoarder house renovation is a huge job and before you even get to sell it you may be looking at an all-day job or even a several-day job. 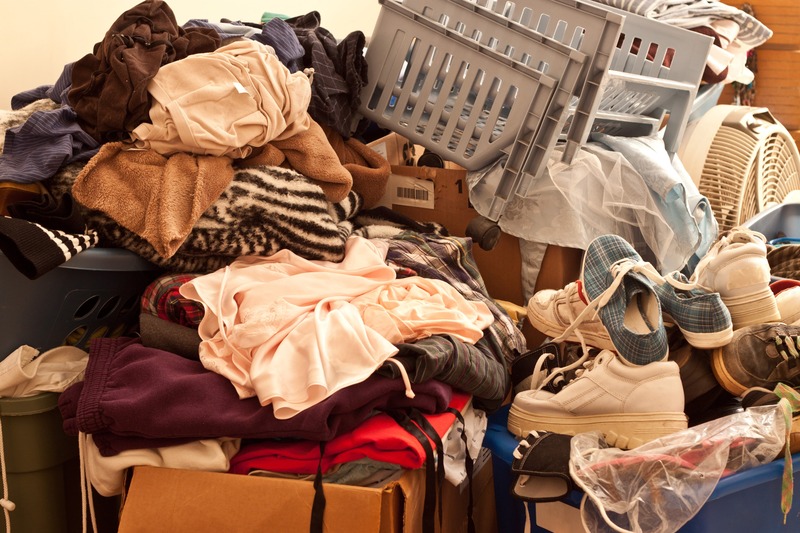 Here are a few tips for cleaning up and selling a hoarder home. First-aid kit – in case there are wounds that occur. You’ll also need some over-the-counter pain meds and allergy meds just in case. Flashlight – You’ll want to be able to see in every area of the home. Repellent spray – often during a hoarder house renovation you may disturb pests that have been taking shelter. Fire Extinguisher – If there are any flammable materials in the hoarder’s house, they can catch on fire easily and you’ll need to put it out quickly if this happens. Watch out for sharp objects like knives or broken glass that could cause injury. Call in professionals if you find bio-hazardous materials in the house. There are a lot of supplies and tools needed for a hoarder house renovation. Cleaning supplies and equipment will be needed to remove trash. Disinfectant will be necessary for cleaning before re-inhabiting the house or selling a hoarder home. And you’ll need tools for making repairs and disassembling items. Take plenty of heavy-duty trash bags, empty boxes, sponges, brooms, mops, buckets, wet wipes, dustpan, a step ladder, Lysol, hand tools, and anything else you can think of. 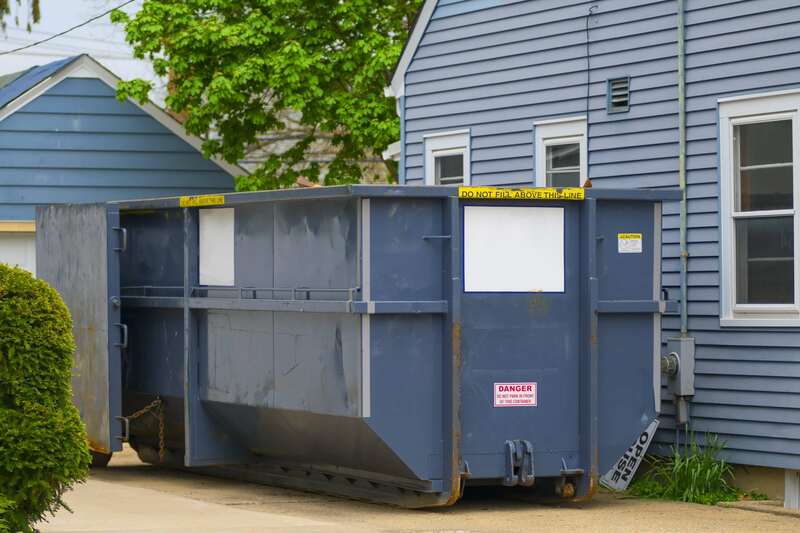 You’ll also need to pay the city an extra fee to rent a large dumpster from sanitation services. That way they can dispose of the trash properly when you are done. Set aside some open space for staging. This area is very useful as it can temporarily store the contents from the house. The rooms, porches, and other areas are likely already cluttered so you’ll need a separate area to use for going through items. If possible, just use the front or backyard. To do this, you’ll also need to ensure the exits are clear to allow for safe entry and exit. This is important for moving things in and out as well as establishing a safe route in case a fire does erupt. Once you’ve established exit routes and a holding area, it’s time to start cleaning. Start with a small room like a bathroom. 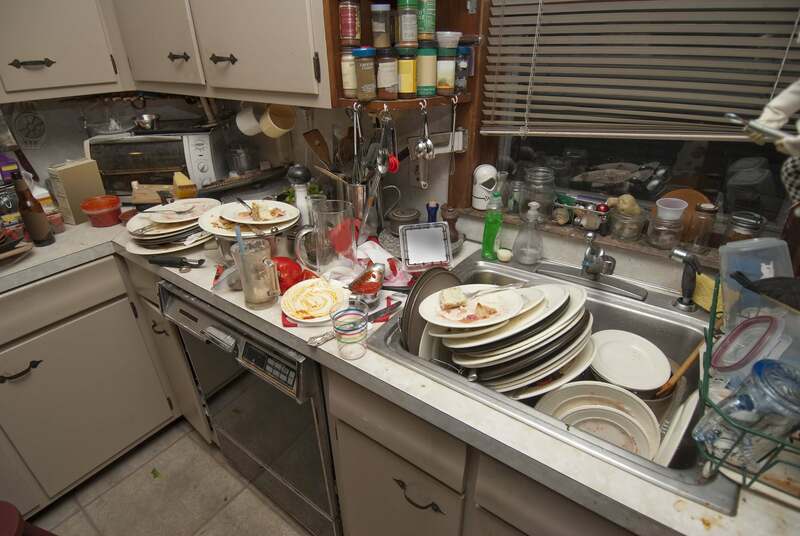 Remember that most hoarders are not sanitary, so you’ll want to pay special attention to the kitchen and bathroom areas. Starting in a bathroom will give you a clean area with a supply of water. Once you’ve cleared out smaller rooms, move on to larger rooms saving the closets and storage areas for last. They are usually overflowing with stuff and very disorganized. Start in other rooms by first removing all the trash. This will be obvious garbage and items that may be too filthy or damaged to be used again. You’ll need to check on local ordinances about discarding things that cannot go into the trash like medications, fuel, oil-based paint, flammable or explosive materials. Lay aside any items that can be recycled and dispose of the rest. Work through a room from top to bottom making sure to check purses and pockets for forgotten cash or jewelry. Take all the clutter out of the room and move large furniture such as couches and appliances so you can clean the premises completely. In some cases, it may be best to pay up front for a professional cleaning company to clean and sanitize the house. Keep an eye out for items that are salvageable. Family heirlooms, documents, artwork and other items that may be valuable or necessary should be kept. Clean items that will be donated. It takes time, money and effort to renovate a hoarder house. 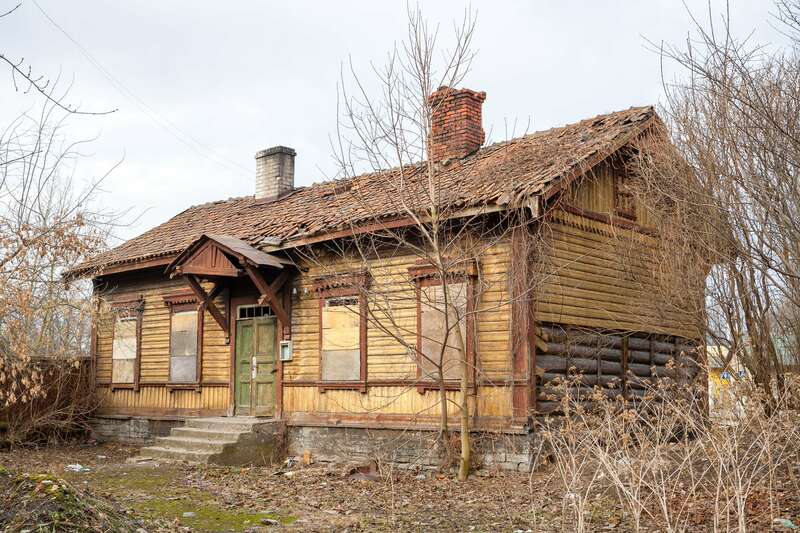 It is useful to know how to sell a hoarder home and safe yourself all the hassle. You look around and wonder if it’s possible to offer a hoarder house for sale. But there really is. An investor will buy the house just like it is, without you having to renovate a hoarder house at all. The cash buyer will offer you a cash price based on an informal assessment. They are knowledgeable of real estate and getting ready a hoarder house for sale. If you like their offer, you just accept it. You take the cash and walk away from the mess and the hassle. The investor will help you get all the paperwork done. You’re relieved of having to do all the work necessary to renovate the hoarder house. Contact a cash buyer, or real estate investor to learn how to sell a hoarder home fast and easy. Want to Get Rid of Your Hoarding House? Trying to get a hoarding house ready to sell is stressful. We understand that. At Cedar Rapids House Buyers, we’re here to help you get rid of your stress without having to renovate a hoarder house. You don’t have to put in the time and money to repair damages or clean out the house. Because we’re cash buyers, we’ll give you an offer and buy the house as-is. Have a question about the process, or want to get a cash offer for your house? Give us a call at (319) 535-4131!